Think Navarra and naturally most people think of the San Fermin running of the bulls festival. However the rest of the year Navarra has so much more to offer with its diverse landscape, exquisite cuisine and top wines, it is a fabulous destination for the gourmet traveler. We prepare personalized luxury wine and food-focused tours through this beautiful part of northern Spain, enabling you to see the highlights of the region including the Gothic castle at Olite, dramatic medieval villages Ujué and Artajona and of course striking Pamplona, sample top authentic cuisine at Michelin starred haunts and tour and sample some of the best Navarra vineyards and wines. A fantastic advantage with Navarra wines (as a consumer, not producer) is that due to their still relatively poor recognition internationally, you can acquire some super-premium wines at extremely good value prices. There is clearly still some work to be done to get this region more prominently placed on the wine trotter’s map, but in the meantime, those who do venture to Navarra will be anything but disappointed. You will have your own personal chauffeur-driven Mercedes throughout and as our tours are tailor-made you will be able to choose the number of wineries, sightseeing, fine dining and free time you wish to incorporate. Read on for an example of the itinerary we can prepare for you in this very special region of northern Spain and please don’t hesitate to contact us to receive your personalized quote. Pick up in Pamplona, where your charming chauffeur and Mercedes will be waiting for you at your desired time. You will be whisked away on a short 40-minute drive to your first stop, the elegant medieval town of Olite. Here the Gothic Castle-Palace takes precedence and dominates the horizon. It was declared a national monument in 1925 and is considered to be one of the most remarkable examples of gothic architecture in Europe. Your chauffeur will then take you on to your first winery visit, Ochoa. This family-run, bodega still uses its original winery dating back to the 1800s in the historic center of Olite for barrel aging (their modern facilities are slightly out of town). Despite being a relatively small producer, Ochoa produces a range of styles from its infamous rosé, complex reds, and Moscatel sweetie. 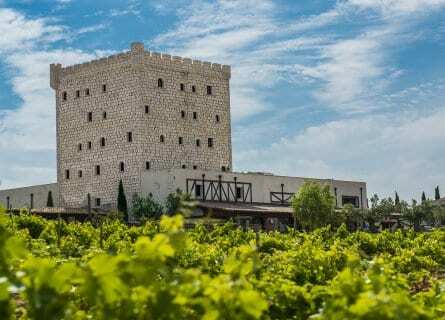 You will naturally receive a private tour and tasting of the Ochoa wines and their outstanding Arbequina and Koroneiki extra virgin olive oil. Lunch is next at restaurant Tubal, located in the heart of Tafalla, here you will experience authentic Navarra cuisine with a modern touch, naturally season depending, but such delights might include; “Tataki de bonito, tartar de tomate y ajoblanco”, (Bonito Tataki with tomato and white garlic tartar) “Patatas a la sartén, yema de huevo, bacalao al pil-pil y su piel crujiente” (Pan-fried potatoes with egg yolk and Pil pil cod with a crisp skin) all perfectly paired with wine from their fascinating cellar with over 300 references. They also have a very interesting delicatessen on site, perfect to pick up some goodies to take home. And finally, you will head to your charming vineyard hotel at Pago de Cirsus. Settle in and enjoy a tour and tasting of their wonderful wines, before making the most of a free evening to relax. 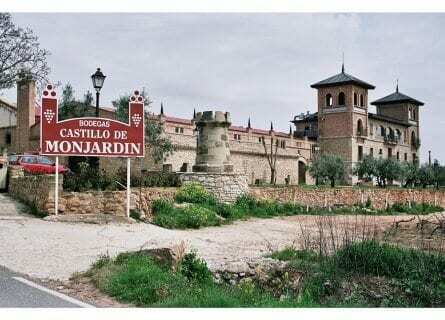 Today you will be immersed in wine and get the chance to compare two very different styles of bodegas, from more traditional Castillo de Monjardin to cutting-edge Arinzano. Your chauffeur will collect you from your hotel at 10 a.m. and you have an hour’s drive to your first winery; Castillo de Monjardin, located on the Camino de Santiago, this bodega has been producing fine wines for many years and gained over 100 medals and recognition for its outstanding creations. After sampling some of the best examples of the Monjardin range you will move on to Arinzano, this is quite something with the magnificent entrance to the winery, designed by renowned Spanish architect Rafael Moneo, stunning vineyards and surrounding landscape and that’s before even trying their wines! Arinzano proudly boasts their Pago status (superior quality, single estate), being one of few in Spain and certainly the first in northern Spain. After your tour and tasting your table will be waiting for you at their “La Casona” restaurant, chic rustic, serving a wide range of gastronomic dishes, based on local and seasonal produce. Your chauffeur will then leave you back at your gorgeous hotel for a free evening. Enjoy your last breakfast in your vineyard hotel, as today you will head north again, taking in some of the fantastic Navarra villages and scenery. A 10 a.m. pick up and approximately a 1-hour drive to your first stop, Ujué; this medieval village is secluded high up on the plateau. Once in the village, you continue to gain height climbing the narrow streets which lead to the Church-Fortress of Saint Maria of Ujué. Legend has it that a shepherd followed a dove that he had seen entering and exiting a hole in the rock, and when he got closer he was met by an image of the Virgin Mary, so the townspeople built a church there to give her shelter. Your chauffeur will then take you on to Artajona, this is another incredibly beautiful medieval village with a magnificent 11th-century fortress commanding position over the village from the top of the hill. You will then head a little further north to stunning Puente la Reina, this gorgeous town is where two main routes of the Santiago pilgrimage cross and is always bustling with pilgrims. The prominent feature here is, however, the bridge by which the town is named, the Romanesque “Puente” is truly remarkable. There are plenty of options for a casual lunch on your own here. It is then just a short 25-minute drive on to Pamplona. Settle into your fabulous abode, The Gran Hotel La Perla, located in the heart of the city with views over Plaza Castillo. Relax and freshen up, as tonight you are in for a real gastronomic treat at Rodero restaurant. 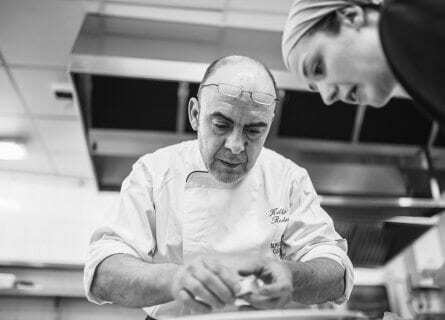 Head chef and proprietor Koldo Rodero has added a modern and artistic flair to the already successful restaurant established by his parents in 1975, now a sibling team with Koldo’s two sisters taking care of the front house. Here you can look forward to sublime interpretations of Navarra cuisine using the best local produce, such as “Meloso de Bacalao con nectar de pimiento asado” (Cod with roasted pepper and black garlic nectar) or “Royal de rabo de toro con bombón de foie y toques de café, cacao y miel” (Royal bull’s tail with foie bonbons and hints of coffee, cocoa and honey). A truly superb way to end your Navarra experience! Mercedes Transfer to your next port of call. If you would like to add on a few more days to your luxury chauffeured tour, the Rioja wine country or San Sebastian are nearby. Buen Viaje!